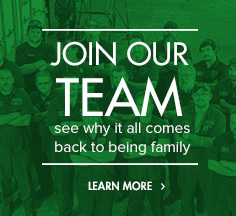 For over 46 years, our family-owned business has been driven by our desire to provide the ultimate customer service experience, to be one of the best places to work in any industry, to continuously improve our sustainability efforts, and to give back to the community that helped make us a success. These are the values that drive us. To earn recognition for our exceptional service to customers, employees, and our community.